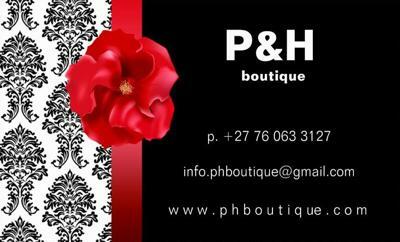 P&H boutique’'s handbags offer the very best of international brands unavailable in South Africa. The highly selected collections celebrate the beauty of timeless quality and are inspired by global trends. Each handbag has been cherry-picked with our clientele in mind —- the sophisticated and discerning woman who appreciates the value of a one of a kind purchase. We specialise in the very finest Egyptian cotton for our men's shirts. Egyptian cotton is an excellent choice whether you are looking for luxury, comfort or durability. The higher thread count of Egyptian cotton is the result of a special cotton that has longer, thinner fibres than normal cotton which makes it possible to weave thinner threads, while remaining luxuriously soft. At P&H boutique, all shirts are 500 thread counts and higher. Our shirts are hand-picked for the man who appreciates the value of the best cotton in the world. A more luxurious and quality fabric has yet to be discovered.